I have always preferred non-HID headlights. As I can see very sensitively at night, it always bothers me when I get a super bright light in my eyes. Although the other driver can see better, it makes it almost impossible for me to keep my eyes open. Not only that, but also non-HID lights cost less. They are efficient, durable and do the work. You can find non-HID lights that will help you survive snowstorms and dark conditions. Below we have listed five of the best and brightest non-HID headlamps that are perfect for your vehicle. 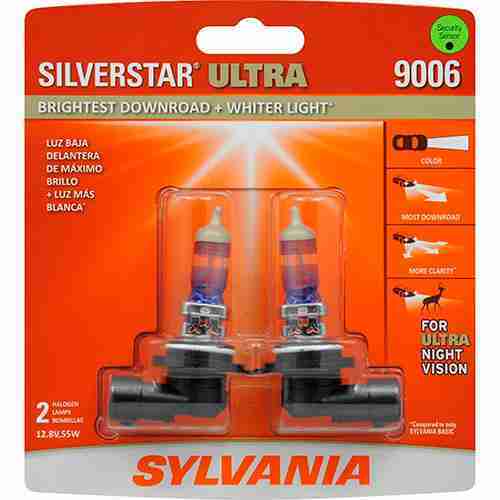 If you are looking for the brightest non-HID light, then you should buy the Silver Star Ultra. 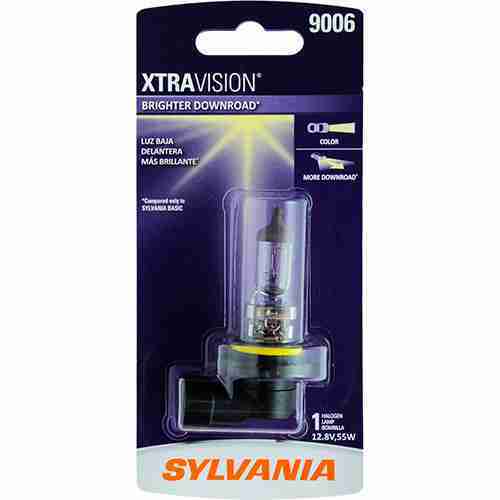 These light bulbs are the brightest down road lights from Sylvania in stock. Not only that, but also the whiteness of the lights gives the driver more clarity when trying to drive at night. Sylvania (see full specifications) uses a special gas mixture and lamp coating to make the light brighter. This shifts the temperature to a whiter light. These are approved for road use, so you do not have to worry about it. They will become weaker and weaker over time. It is best to replace both lights at the same time to get the best performance. These proven OEM (Original Equipment Manufacturer) lights are the best choice when it comes to brightness. One-step lower would be Sylvania’s Silver Star light bulbs, which are slightly less bright than the Silver Star Ultras. Still, they blow away most of the competition. These lamps have a similarly designed filament, suitable gas mixture with a lamp coating that makes the color whiter. SilverStar bulbs (see full specifications) feature outstanding performance in down road, side street and white light production, giving the rider more clarity when driving at night or in poor conditions. This will also help you get more clarity when identifying objects such as road signs, road hazards or structures. They are also cheaper than SilverStar Ultras. They are above many other competitions. 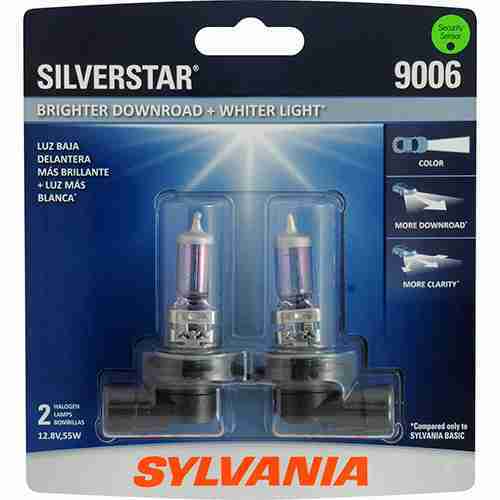 If you have a tight budget but need high quality, I would choose SilverStar bulbs from Sylvania. There are among the brightest non-HID headlamps if you have a little light in your wallet. If you do not know it yet, Sylvania has many great products. The next step down is your XtraVision bulb. These light bulbs are not as bright as the SilverStar and SilverStar Ultra. However, they are even cheaper. 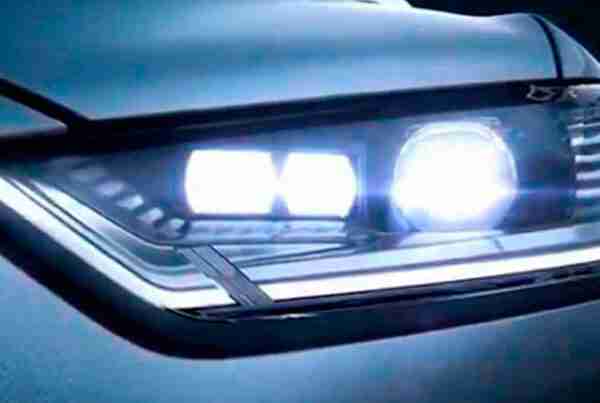 These headlights offer much more visibility in the off-road because they use a brighter bulb than most manufacturers. Not only that, but there is no extra glare. Sylvania uses a robust filament design and a suitable gas mixture that allows your car to achieve excellent performance without dazzling you or other drivers. If you are looking for long-lasting lights that last a while, I would recommend XtraVision headlight lamps. They may not be as bright, but they will last a while. They are expected to last around 850 hours, which is much longer than the SilverStar products. XtraVision is cost-effective and durable, making it the perfect choice for the average driver. I have decided not only to list Sylvania products that have a simple light bulb. 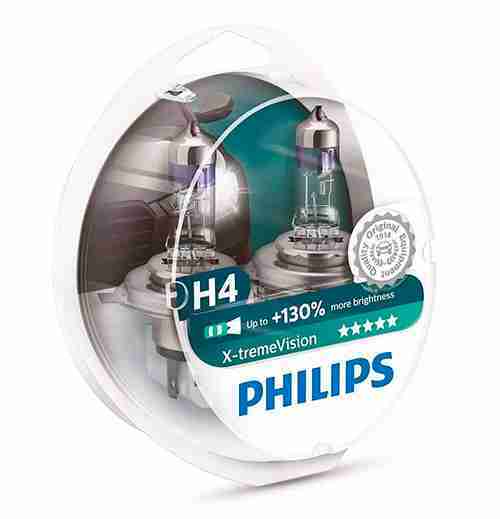 Instead, I thought it would be good to show one of their competitors, Philips X-treme headlight lamps. This light bulb gives you up to 130% more light than an average headlight. These lamps are also very durable. These lights have a longer beam than average light bulbs at 147 feet! Not only that, but they also increase your reaction time by two seconds. This is beneficial for young drivers who may not react as quickly as experienced drivers may. Phillips incandescent lamps are coated with high precision and are made of UV quartz glass. They will also give you a whiter light than your standard lamps. I would recommend these lamps to someone looking for durability and brightness. These will not be the brightest, but they will do the job. 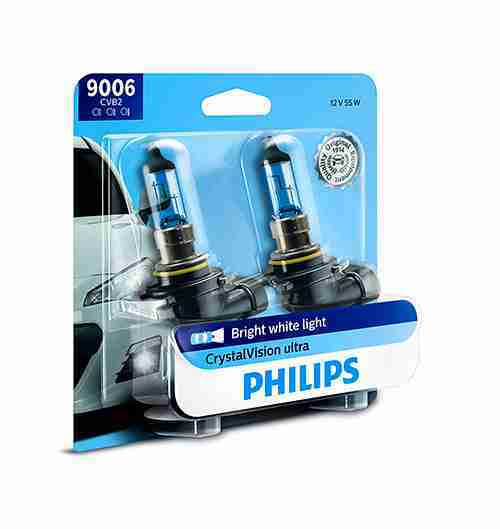 Philips CrystalVision ultra is the solution for drivers looking to upgrade the style and look of Xenon HID but owning a vehicle with halogen technology. These headlights offer a great visibility in the off-road. A unique blue cap on the bulb creates a cool blue effect in the headlamp’s reflector in daytime. You may choose Philips CrystalVision Ultra headlamps for the look of HID and bring bright white light to the road. Always replace in pairs to ensure a symmetric light beam from both bulbs on the road. Headlights begin to dim over time. In addition, one more notice when installing a new bulb, never touch the glass. Either use gloves or paper towel when handling. There are a few things you should look for inside a non-HID headlight bulb. Obviously, brightness is one of the biggest factors. This helps you drive safely. Not only that, but also bright, glare-free headlights make it easy to spot hazards and signs. HID lights are sometimes too bright and even cause a deer danger on some streets, because the animals are standing in front of extremely bright lights. Non-HID lights give you enough brightness without glare to give you clarity without putting you and other drivers at risk. I would also look for the amount of whiteness within the lights. Whiteness tends to help you see well. Not only that, it will also contribute to the clarity of the street. Whiter lights make navigation easier at night. One of the biggest factors is also the length of the projected light. A light could be very bright, but it does not go far across the street. I would look for down road and side street brightness to get the best product. After all, I would be looking for durability. Some lights do not last long. If you are on a budget, then durability should be your most important factor. Lamps like the XtraVision lamps are not as bright, but have excellent durability. However, SilverStar Ultras are ideal for outdoor vision and brightness. They just do not last that long. Consequently, if cost were a very big factor, then I would choose the more durable lamps. Overall, the brightest non-HID headlamps are best suited not only for you, but also for other drivers on the road. They are inexpensive and do the job. Each of these lights should be easy to install. Factor for brightness versus durability. Go out and buy a set today! It will immediately improve your night driving experience. Good luck!